This week, Hannah and Lucia predigest (oh yeah) some more of our favorite subjects–digestion and deload! Follow along as Lucia lays out what and how the digestive system works (guess what, it’s bigger than you might imagine!) and provides tons of ideas to help get your tract on track. Hannah emphasizes the huge importance of deloading as a complement to overloading (last week’s subject) and how you really can’t have one without the other. 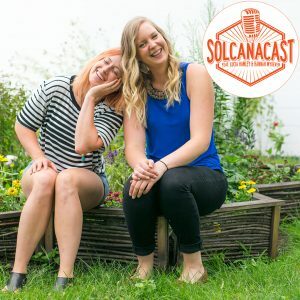 Don’t forget to TWEET us @solcanapodcast on your thoughts about who you’d like us to interview and what subjects we can debunk for YOU! Plus, give us updates on how your challenges are going! Lucia’s challenge: take 2 breaths before 1 meal each day, and think about how you’re chewing for for 5 chews of meal. Hannah challenge: really overload for 3 weeks, then deload for 1. Focus on deadlift.